The 1st Class Sleeper turns your cramped coach seat into a lap of luxury. 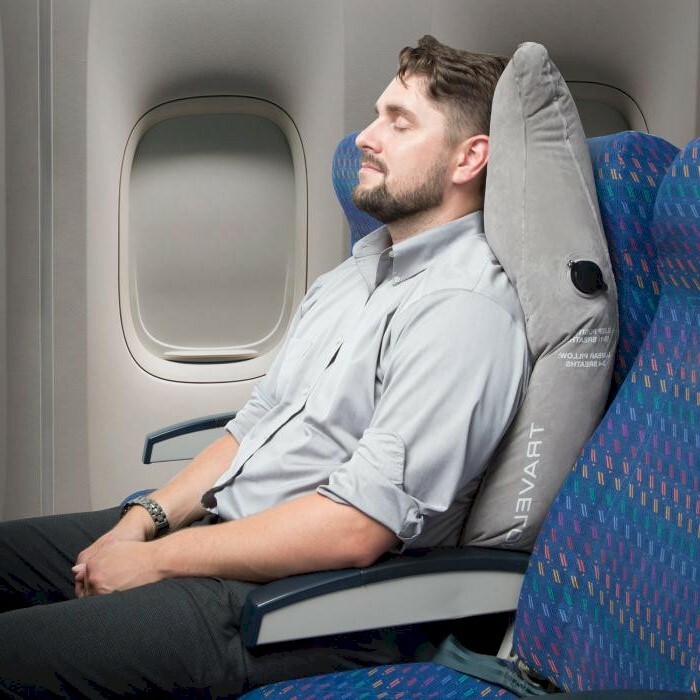 Veteran pilot Captain Bob Duncan couldn't sleep in airplane seats on his commutes home, so he invented the 1st Class Sleeper, an inflatable "bed in the clouds" that's endorsed by chiropractors and orthopedic surgeons. 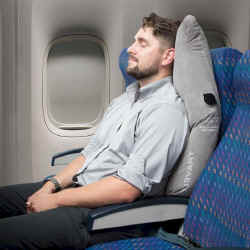 While the 1st Class Sleeper may be the funniest looking thing ever pulled out of a carry-on, after settling back in the newly comfortable reclining airline chair this traveller will be the last one laughing. Hygienic - when do you think was the last time those airline pillow cases were cleaned? 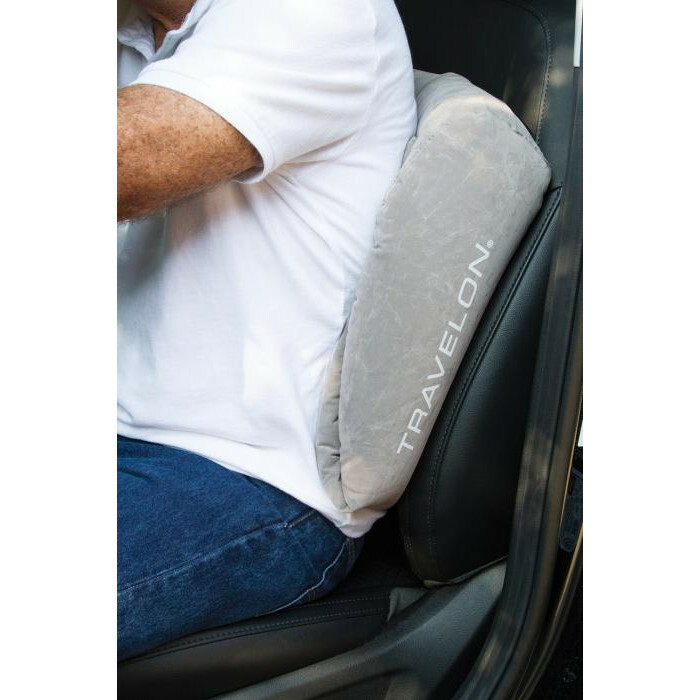 Flexible - not only does your 1st Class Sleeper™ work on airplanes, it also works on most car, SUV and recreational vehicle seats as well as on buses and trains. You can even use them on high backed office chairs! 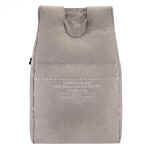 Who knows, it might even be a good emergency flotation device! 35 x 17 x 9"